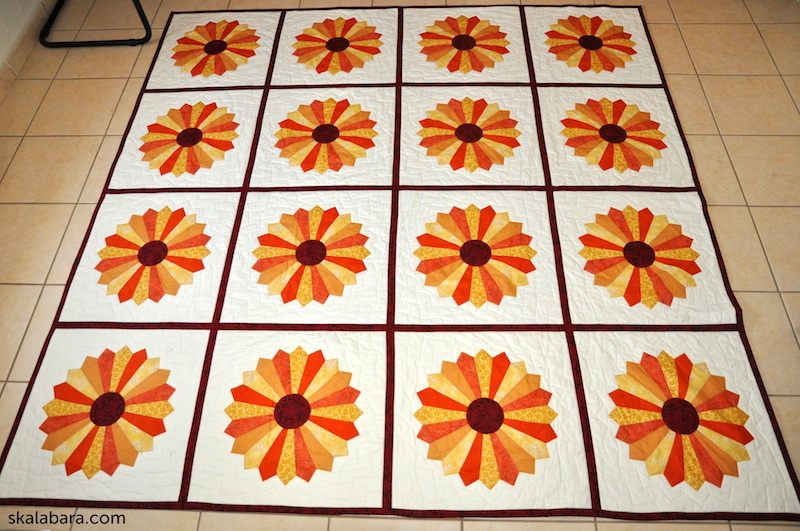 This entry was posted in blocks, my quilts, patchwork, quilts and tagged block, dresden plate, finished quilt, QAYG, quilting. Fabulous stuff. Thanks for the marking tips too. I found this tip a long time ago on the web and I am happy to share my experience! 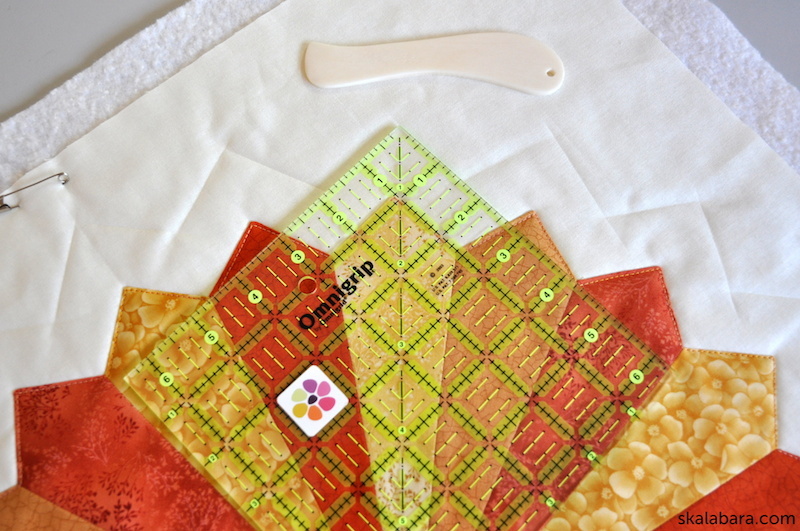 Repeating the center of the plates as the strip and binding was a great unifying choice! Looks very good. Thanks for stopping. 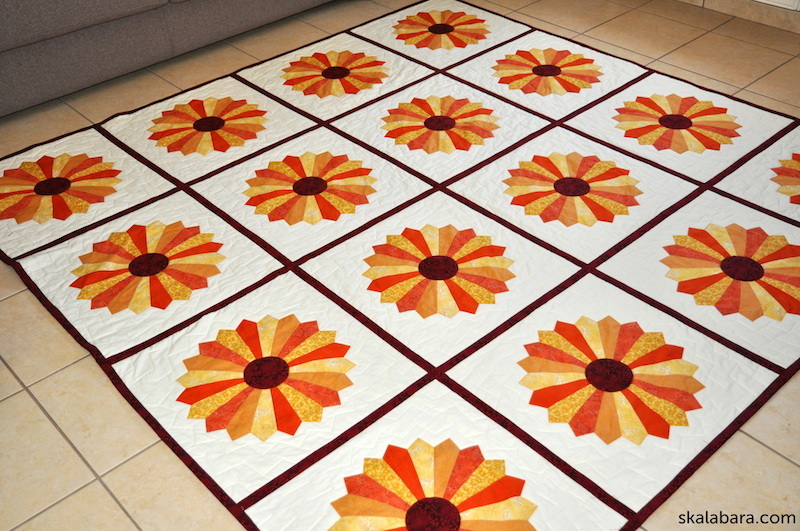 It was my original idea that the dark red fabric reunites the whole quilt. And it worked! Your plates remind me of sunflowers. 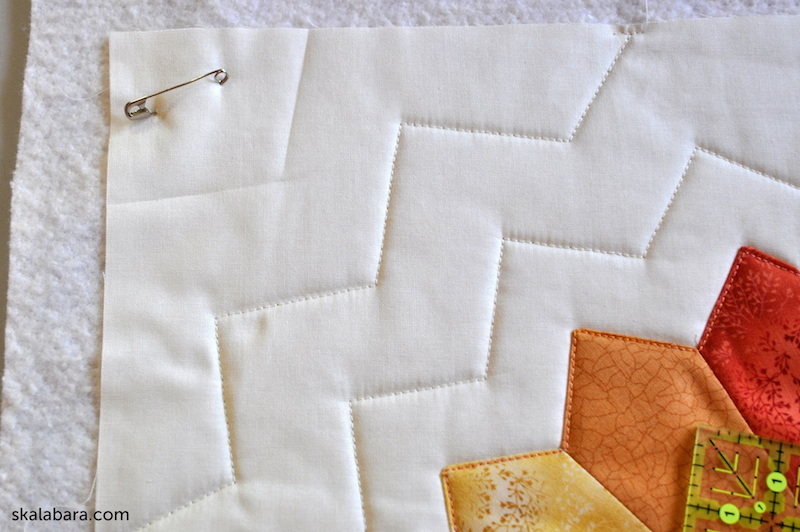 How did you like the quilt as you go method? 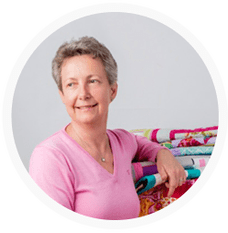 Thanks for sharing your lovely, and large, quilt. I do like the QAYG method. 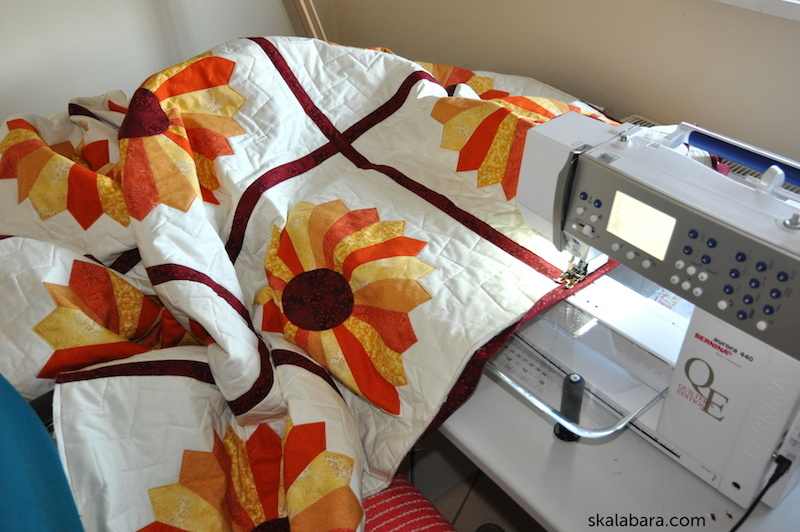 I would not be able to quilt this quilt size on my “small” Bernina. 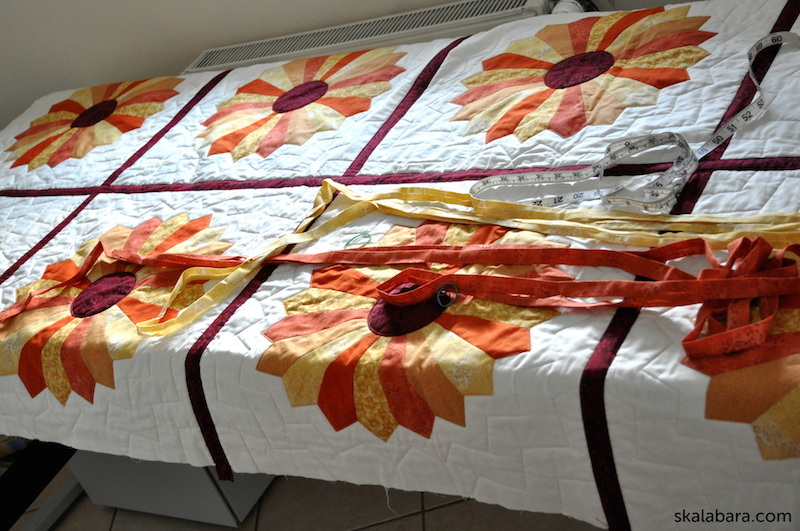 I think it is a good alternative to finish nicely and neetly large quilts. I like the sunny and warm look. Great quilt! Have nice holidays! 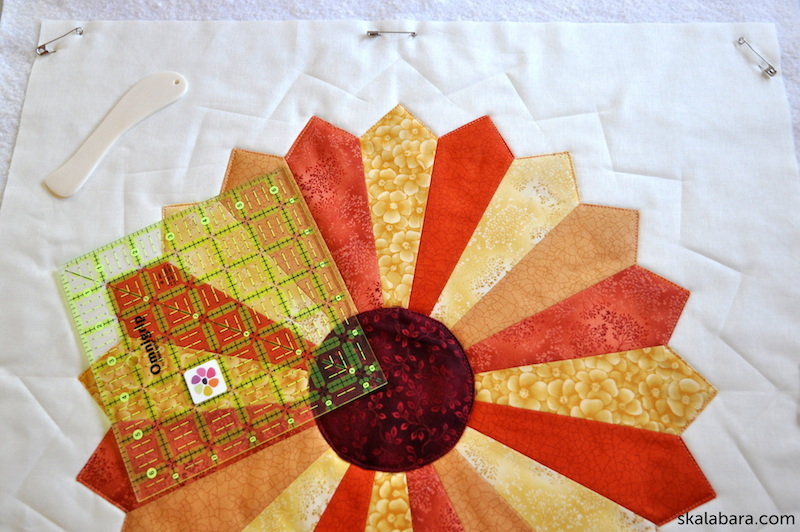 Thanks for stopping, I am really happy with the quilt colors!